Dermal fillers can plump thin lips, enhance shallow facial contours, soften lines and wrinkles, and improve the appearance of recessed scars. As we age, our skin changes. Over time, the natural volume of youthful skin begins to diminish, causing wrinkles and folds to form. With the help of dermal fillers such as Restylane®, our Kansas City-area patients can enjoy supple, youthful-looking skin with little to no downtime. Start seeing younger-looking skin today. Call our office at (913) 451-3722, or request your consultation online to schedule an appointment. We offer complimentary consultations for all cosmetic procedures. There are a number of dermal filler products available. 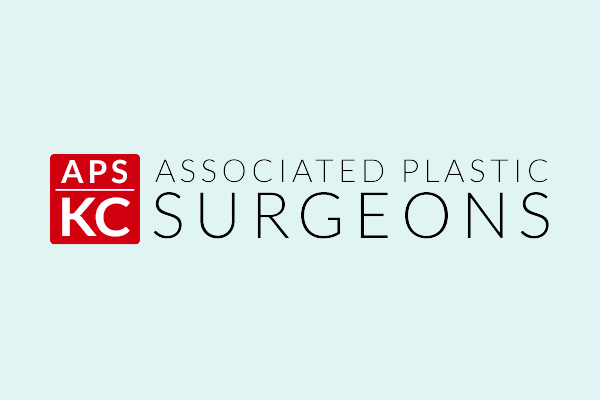 Associated Plastic Surgeons of Kansas City carries today’s leading dermal fillers in order to provide you with the best solution for your specific concerns. All dermal fillers are administered by our plastic surgeons. JUVÉDERM is a smooth consistency gel made of hyaluronic acid, a naturally occurring substance in your skin that helps to add volume and hydration. JUVÉDERM is placed under the skin to instantly restore volume and smooth away facial wrinkles and folds. This product is often used to correct the look of “smile lines” or “parentheses” around the mouth (also called nasolabial folds, these creases run from the bottom of your nose to the corners of your mouth). JUVÉDERM can be used anywhere in the face. It can correct fine lines around the lips as well as augment lips for increased fullness. JUVÉDERM will naturally break down over time and the lasting effect varies from person to person as well as the injection site. Your doctor can provide general guidelines as to when retreatment will be needed. Patients who use JUVÉDERM often combine this treatment with BOTOX® Cosmetic for more comprehensive results. Restylane and Perlane restore volume to correct moderate to severe facial wrinkles and folds, such as the lines from your nose to the corners of your mouth. These rejuvenating cosmetic beauty treatments result in a younger-looking you. Restylane and Perlane are both comprised of hyaluronic acid. Restylane is widely used to treat superficial lines and wrinkles, whereas Perlane is used for deeper skin folds and wrinkles. Sculptra is a safe, synthetic, and biocompatible material that is injected below the surface of the skin to stimulate your own collagen to fill in folds and wrinkles due to the loss of volume in the face. Made up of Poly-L-lactic acid, the filler is actually your own collagen. Typically, 3 injections of Sculptra are done over a 2 to 3-month period or until the desired effect is achieved and can last up to 2 years; although results vary. It provides gradual, not overnight, results by significantly increasing skin thickness and improving the appearance of folds and sunken areas. Sculptra is approved for use in the entire facial area, except for around the eyes. Sculptra is often used in conjunction with a face lift since the surgery does not restore lost volume in the face. Sculptra provides a natural, refined look, not a puffy face. RADIESSE is made of calcium-based microspheres suspended in a water-based gel and is injected into the skin through a simple and minimally invasive procedure. These calcium-based microspheres actually stimulate your own collagen to produce a natural look. This dermal filler is the ideal choice for total facial contouring. It can restore a healthy, youthful appearance, enhance your existing features, help you defy age and gravity, and increase your confidence — all without invasive surgery or scarring. RADIESSE replaces lost volume and stimulates collagen. Actual results vary with individual factors, but typically last more than a year. 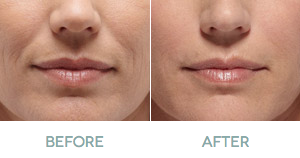 BELOTERO BALANCE is comprised of hydraulic acid and is an ideal dermal filler for the fine lines around the lips and the deep folds from your nose to the corners of your mouth. It is formulated to adapt to your skin for soft, natural look. Can I return to work after my injection? It really depends on the individual and where the injection takes place. There can be some redness and swelling that will go away within a few hours to a day. We advise patients to schedule their appointment when this will not be an issue. Will I bruise after the injection? Bruising is possible and it depends on the location of the injection and the patient. Most minor bruising can be covered with makeup. If you tend to bruise easily, plan your appointment at least a week before any big event you may be attending. We advise patients to discontinue use of any over the counter NSAIDS (Advil or naproxen) for at least 10 days to 2 weeks. Also, if you are taking prescription medications for blood thinners, you will want to check with your doctor to see if it would be safe to discontinue use for a short time. Are there any restrictions on activity after my injection? We advise our patients to ice the injection area for the first 24 hours to reduce swelling and the chance of bruising. You should not have a facial of microdermabrasion for 1 week following your injections or massage the area. Heavy activity and heat should be avoided for several days following the injections. You can wear makeup immediately following the injection.